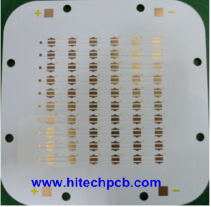 Al Based PCB for LED – These boards come with thickness of 1.60 Min with hole size of .4 Min and line width of 0.25 Min as well as line spacing of 0.25 Surface. 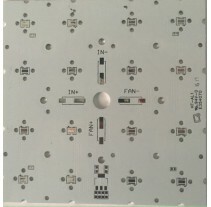 Single-Sided Aluminium PCB – This advanced Aluminum PCB come with the following features that include base-material of Aluminium Base board material Board, thickness of 1.6MM Solder mask and color of white liquid. Printed circuit boards (PCBs) can be made from various metals. 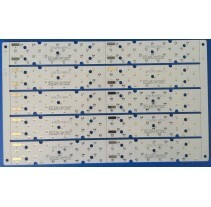 These special PCBs are known as a metal core printed circuit boards (MCPCBS). The metal changes on the basis of the application. 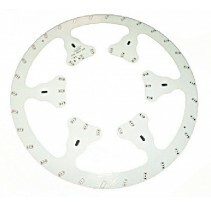 Aluminum PCBs are one of the popular types of metal MCPCBS, which find use in many modern day applications. 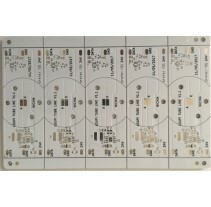 These PCBs feature metal-based and copper-clad laminates. Such a construction makes the circuit board an excellent electrical insulator and thermal conductor. 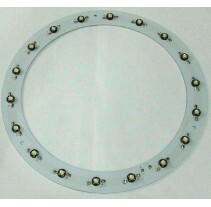 It also helps the PCB in delivering high performance. Here we will discuss in detail what aluminum printed circuit boards are. Also, covered in the post is the manufacturing process of these PCBs, as well as the applications of these circuit boards. 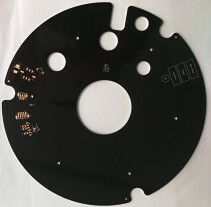 Online search is one of the ideal and convenient modes of fulfilling your requirement as you will reach to a number of reputed companies that are bringing to you such Aluminium PCB. 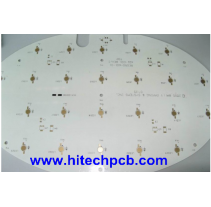 Among some of the top manufacturers, you will find name of China-PCB-Manufacturer comes on the top. The leading company has carved a special niche within a very short span of time for offering you a gamut of circuit boards. What are the Different Types of Aluminum PCBs? 1. Through Hole Aluminum PCBs - In the through-hole aluminum circuit boards, the aluminum is pre-drilled. After that, a dielectric is back-filled into the hole. 2. 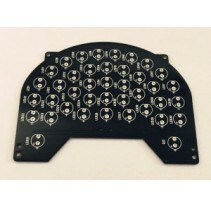 Flexible Aluminum PCBs - In these PCBs, flexible dielectrics are used, which provide a high level of flexibility, thermal conductivity, and electrical insulation. When these dielectrics are used with aluminum material, the product thus formed is highly flexible and can be formed in different shapes. 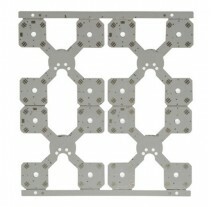 This helps eliminate costly connectors, and fixtures. 3. Hybrid Aluminum PCBs - These types of aluminum PCBs are generally used in RF applications, and are known to provide a better thermal performance when used in a standard FR4 product.